Oracle Projects can generate revenue and invoices based on the financial physical percent complete that you enter for a project. You can enter the physical percent complete for all the levels in the financial breakdown structure (FBS). However, to generate revenue or invoices based on physical percent complete, you must have physical percent complete at the funding level (project or top task). 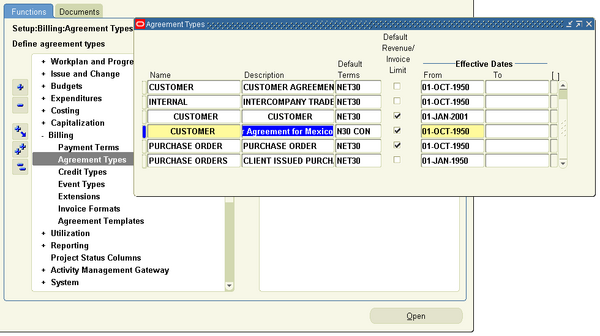 Oracle Projects releases revenue to make it eligible for interface to Oracle General Ledger. You cannot update or delete released revenue. 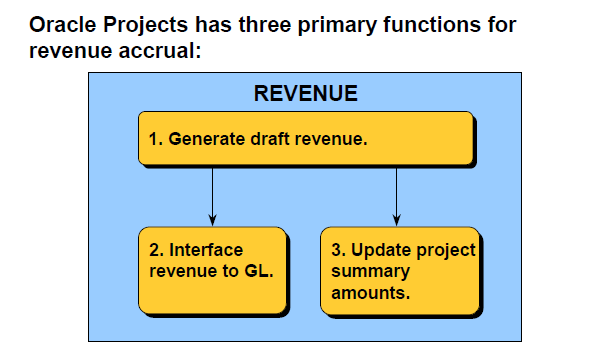 Oracle Projects processes adjustments to released revenue by creating crediting revenue transactions.When you generate revenue for a range of projects, it has a status of Released. 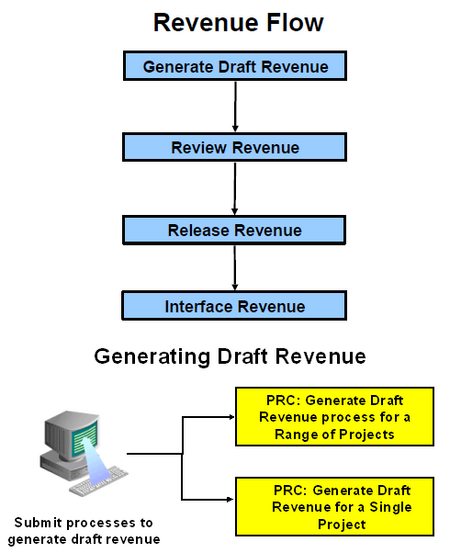 You can generate revenue for a single project, or for a range of projects using the PRC: Generate Draft Revenue process. You can also delete the revenue of a single project using the PRC: Delete Draft Revenue of a Single Project process. When you generate revenue, Oracle Projects first selects projects, tasks, and their associated events and expenditure items that are eligible for revenue generation. When you generate revenue, Oracle Projects first selects projects, tasks, and their associated events and expenditure items that are eligible for revenue generation. 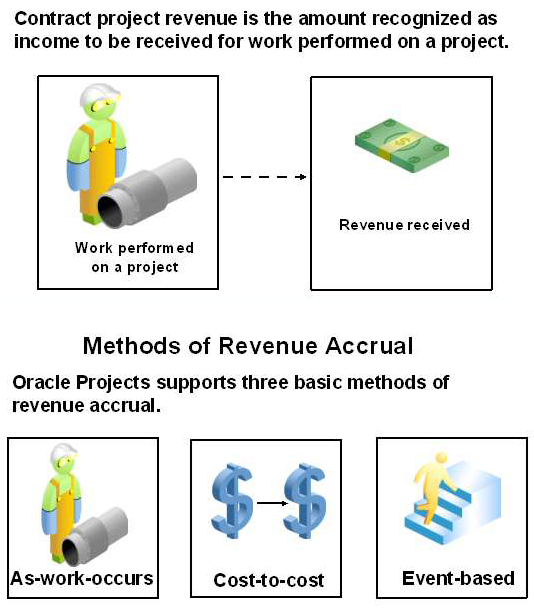 Oracle Projects next alculates the potential revenue and then creates revenue events and expenditure items. Oracle Projects generates revenue based on the transactions that you charge to your projects. You configure your projects to accrue revenue based on your company policies. You can review revenue amounts online, and can also adjust transactions; these transactions are then processed by Oracle Projects to adjust the revenue amounts for your project. 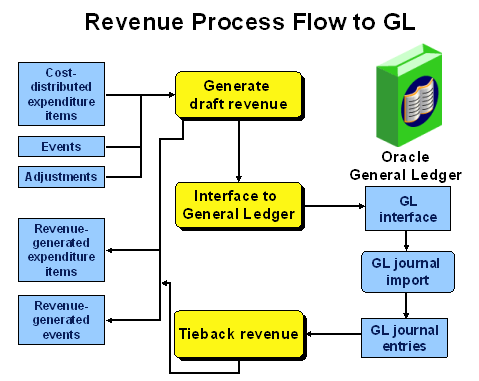 Oracle Projects interfaces the revenue amounts to Oracle General Ledger. 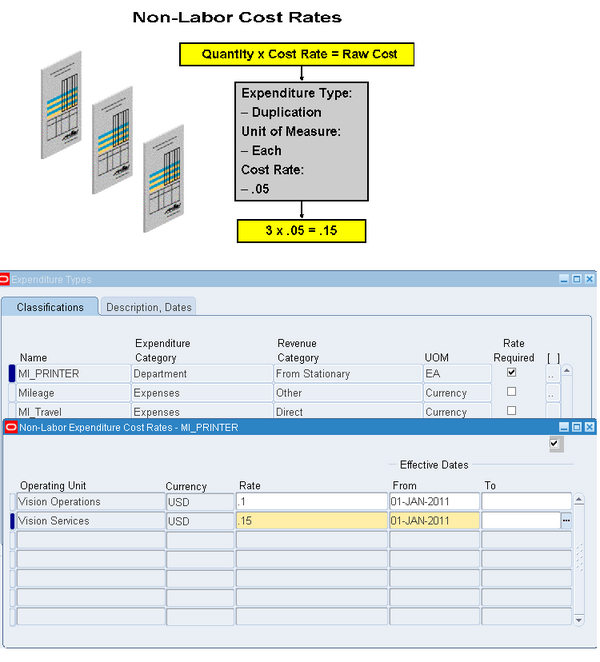 An expenditure type cost rate is a currency amount that Oracle Projects multiplies by the expenditure type unit to calculate cost. In the Expenditure Types window, select an expenditure type and choose the cost rates button to enter a cost rate for it. You cannot define a cost rate for a non–labor expenditure type that does not require a cost rate. Instead, you must disable the expenditure type and create a new one that requires a cost rate and has a unique name. Every usage item you charge to a project must specify the non–labor resource utilized and the non–labor resource organization that owns the resource. 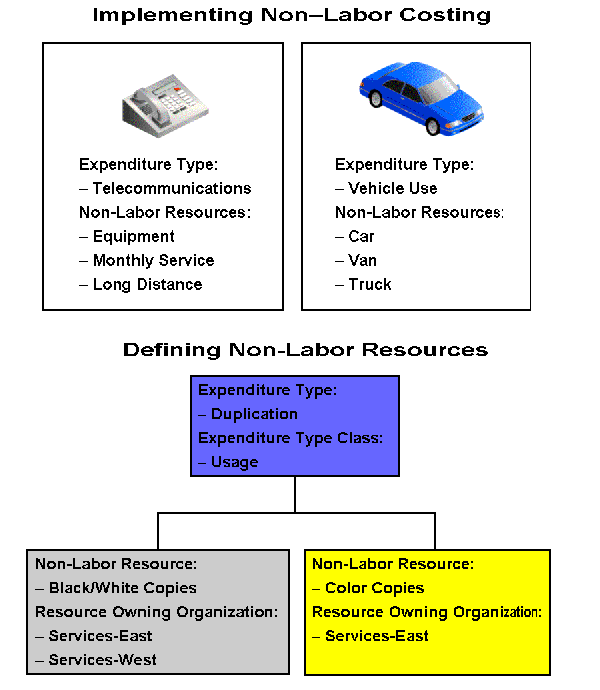 When defining your non–labor resources, you can choose only expenditure types with the Usage expenditure type class. Remit bills receivable to your remittance bank or other financial institution to initiate the collection process from your customers. Before remitting to a bank, you must create, approve, and format/print bills receivable using a remittance batch. 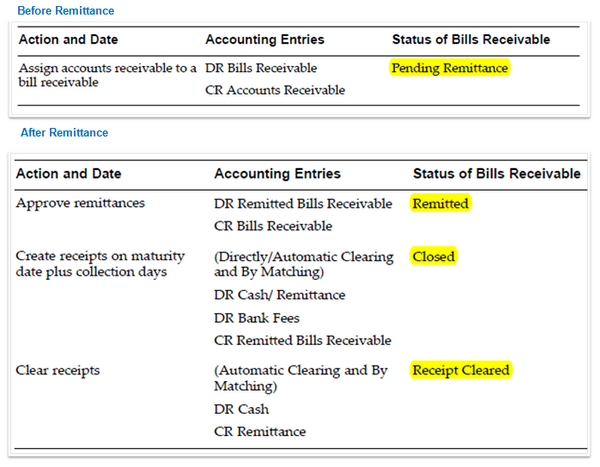 The tables in this section describe the accounting entries and bills receivable statuses throughout the entire remittance and clearing process. 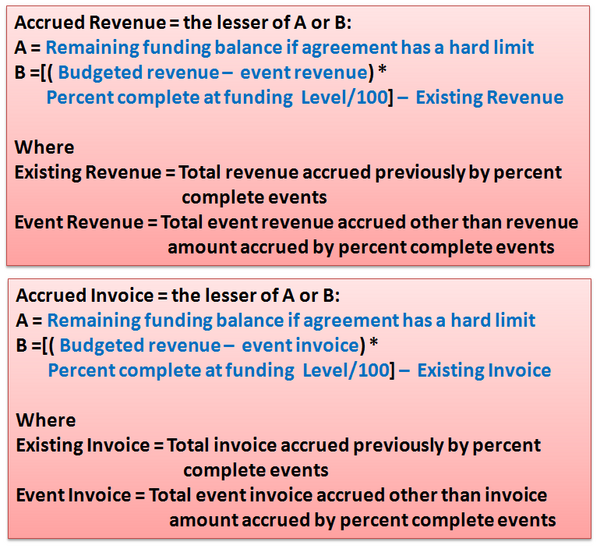 Each table shows, for a particular type of remittance, the actions that you can perform on a bill receivable and the corresponding accounting entries and status that Receivables creates.